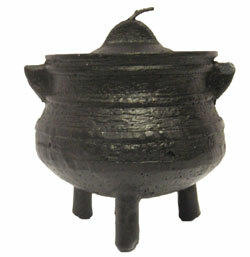 Small black 3 legged potjie candle measuring approximately 8cm in height. SO CUTE. lOVE THE 'POTJIE IDEA" CANDLE!